When it comes to meals in our household, it’s essential to keep things interesting by switching things up every once in awhile. That means breakfast for dinner and surprising our brood with fun flavor combinations they’re not expecting. In this case, we wanted to take the idea of a traditional pie and turn it into something savory, different from traditional dishes like cottage or shepherd’s pie. 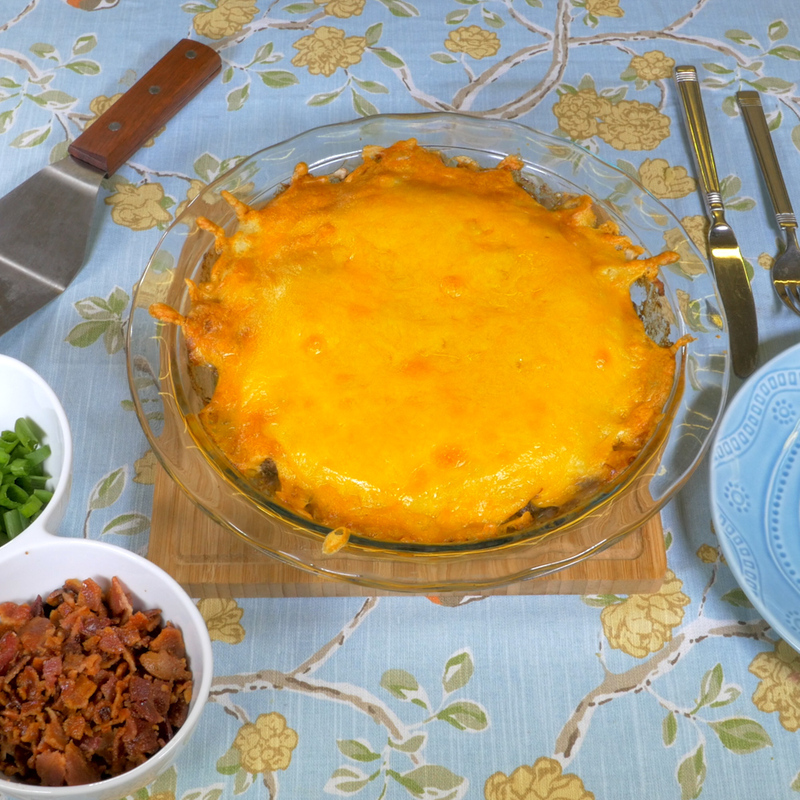 This loaded up beef pie is basically a loaded baked potato packed into a tasty ground beef crust. 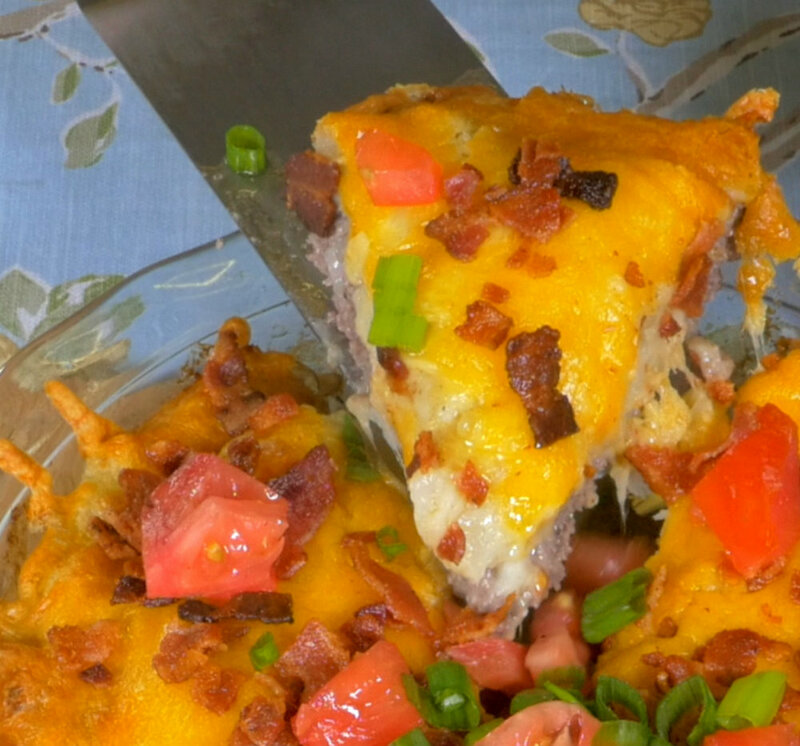 Using mashed potatoes as the filling, then topping everything with cheese and bacon, this pie is like nothing you’ve had before and you’ll be thrilled you made it! 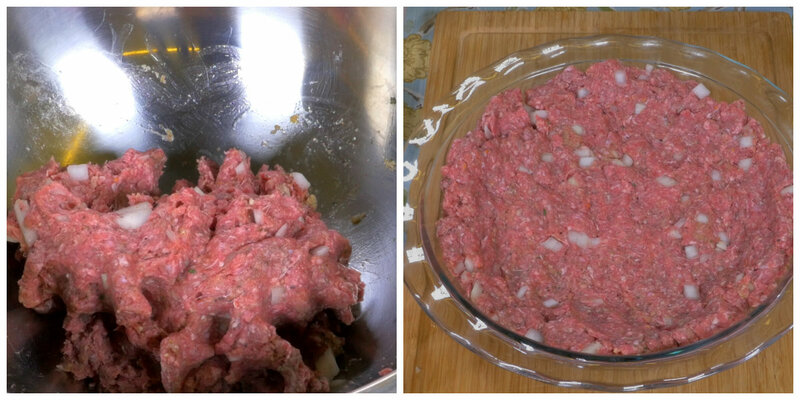 In a large bowl, combine ground beef, egg, onion and breadcrumbs, and season generously with salt and pepper. 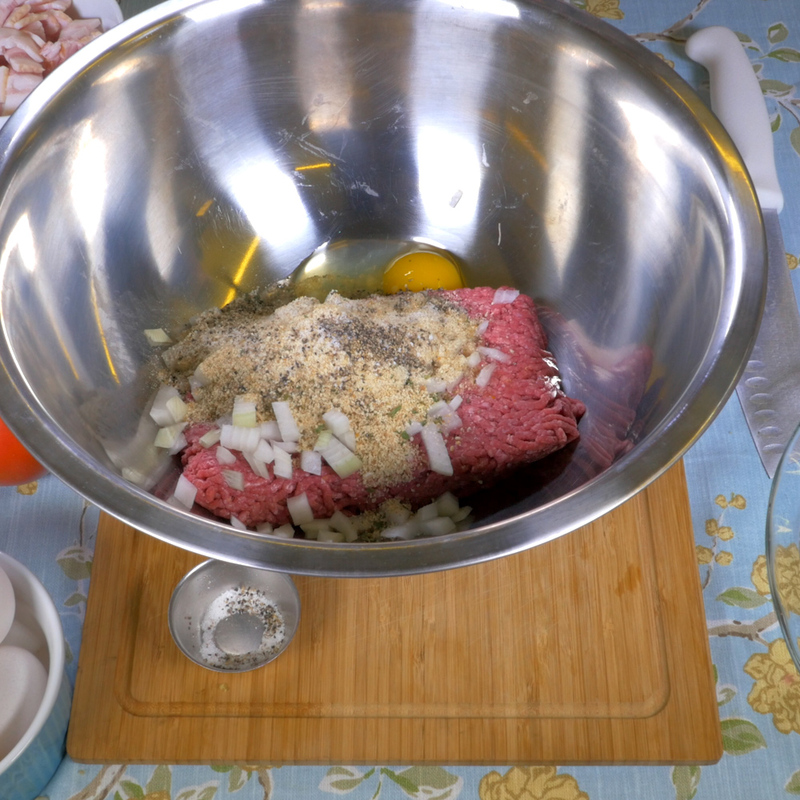 Use your hands to mix everything together, then transfer beef mixture to a pie dish and press it into the bottom and up the sides of the dish. 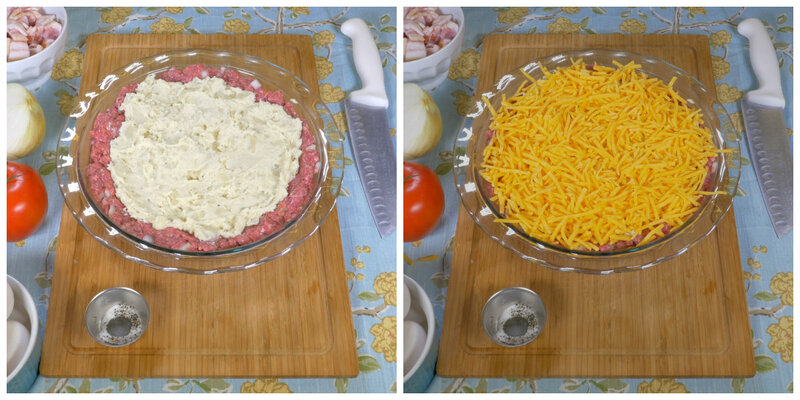 Fill beef “crust” with mashed potatoes and smooth out the top with the back of your spoon. Top with cheddar cheese and place in oven. Remove from oven, garnish with bacon, tomato and green onions, and serve hot.